Media captionThe Labour leadership challenger says the country will be ill-served by leaving the EU. 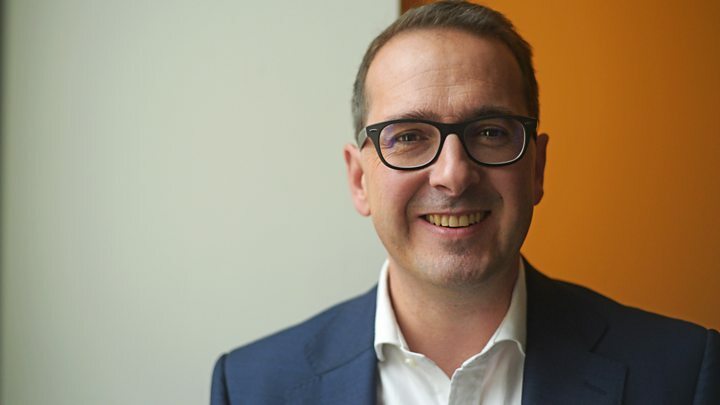 Owen Smith says he will try to stop Theresa May formally triggering Brexit unless she promises a referendum on the final deal or calls a general election to approve it. The Labour leadership challenger said his party should not give the Tories a "blank cheque" on negotiations. But rival Jeremy Corbyn said Parliament had to "work with" the result of the referendum. Ministers said they would deliver on the "decisive" referendum verdict. The UK voted to leave the EU by 52% to 48% in a referendum on 23 June but the manner and timing of the country's departure remains uncertain. The prime minister has said she will not begin the formal legal process of separation by activating Article 50 of the Lisbon Treaty this year, insisting that a "sensible and orderly departure" from the EU will take time. Can UK trigger Article 50 without asking Parliament? However, she has come under pressure from some senior Conservatives to begin the process in early 2017 amid press speculation about possible delays. Speaking on Wednesday, Mr Smith said the British people were "lied to" by those campaigning to leave the EU and they deserve to have a say on the terms of the exit. He told BBC Radio 5 live: "It would be irresponsible of Theresa May to simply trigger Article 50 and sleepwalk out... Labour still believes that we should be a part of the European Union." Mr Smith says he will "fight tooth and nail" to keep the UK in the EU and said that under his leadership, Labour would oppose the triggering of Article 50 in a future Commons vote unless certain conditions were met. He rejected accusations he was trying to override democracy, saying if Labour believed working people were worse off by the settlement he could "legitimately put it back to the British people". "Theresa May says that 'Brexit means Brexit' - but nobody knows what Brexit looks like," Mr Smith said. "It could involve trashing workers' rights and environmental protections, opening our NHS up to foreign competition, making it harder for us to trade with our neighbours and damaging our economy." He added: "Under my leadership, Labour won't give the Tories a blank cheque. "We will vote in Parliament to block any attempt to invoke Article 50 until Theresa May commits to a second referendum or a general election on whatever EU exit deal emerges at the end of the process." It is not yet known whether Mr Smith will have the chance to vote against Article 50. A legal challenge is under way to try to ensure Parliament has a say before Article 50 is triggered, but the government says this can happen without the need for a Commons vote. Mr Smith is pressing the Labour leader Jeremy Corbyn, whom he is seeking to topple, to match his commitment. In the immediate aftermath of the referendum result, Mr Corbyn called for Article 50 to be invoked immediately but he has since distanced himself from the comments, saying he misspoke and due time was needed for the UK to determine its negotiating strategy. Article 50 gives the sides two years to negotiate the terms of the split, with any extension having to be agreed by all 28 EU members. At a campaign event in London, Mr Corbyn said: "People voted for a variety of reasons, but nevertheless they voted." He set out what would be his "red lines" for Brexit, including full access to the EU single market, retention of workers' rights and allowing EU nationals in the UK to remain. Sam Tarry, Mr Corbyn's campaign director, told BBC News Mr Smith's Article 50 pledge would cost Labour "an awful lot of seats". "If he wants to use parliament to block, you know, us going into Brexit, I think that would be deeply unpopular with millions and millions of working class, potentially Labour, voters all across the country," Mr Tarry said. "I think we need to have a bit more of a considered position." Most Labour MPs supported a vote to stay in the EU - but the Labour Leave campaign said Mr Smith's pledge was "electoral suicide". "It is time for the Labour Party to put behind itself the divisions of the past and accept the result of the vote," said John Mills, Labour Leave's chairman. Sir Patrick McLoughlin, the chairman of the Conservative Party, said: "The result of the referendum was clear and decisive and we in the Conservative Party will deliver on the people's verdict. "Whether it's Jeremy Corbyn or Owen Smith, Labour are too divided and out of touch to make a success of Brexit." In his round of interviews, Mr Smith also faced questions about his use of the word "lunatic" at a campaign event. "What you won't get from me is some lunatic at the top of the Labour Party," he told party members in Hammersmith. Mr Corbyn's campaign urged him to apologise, saying his comment was offensive to people with mental illness. Mr Smith told the Today programme he had not been referring to Mr Corbyn but had been referring to himself and apologised to anyone who was offended by the use of the word, saying his language would be "less colourful in the future".